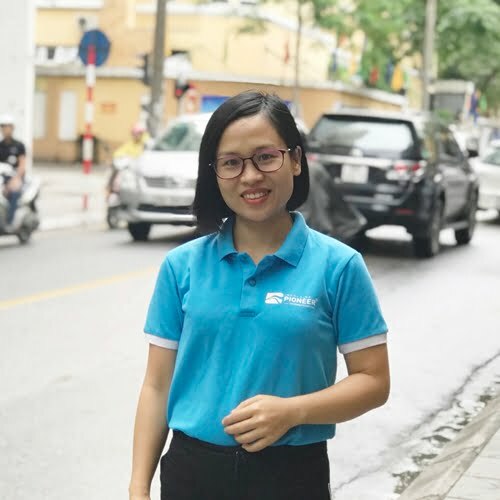 A warm greeting awaits at Noi Bai International airport; your private guide and driver will meet you in the arrivals lounge and transfer you to your hotel in downtown Hanoi. While every effort is made to have your room available upon arrival, check in time is at 02:00 pm; your room may or may not be ready before this time. Your tour guide will provide additional details regarding your stay, and you will be able to ask any questions you may have. The rest of the day is at leisure. 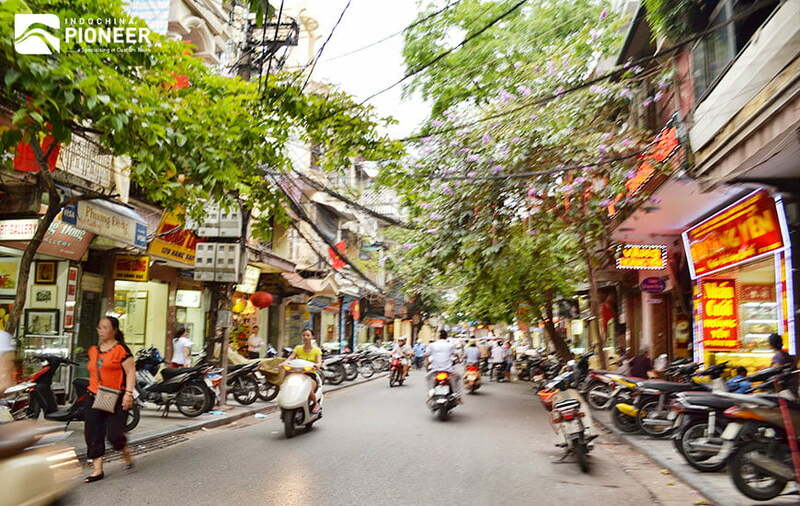 Dive into the sights, sounds, and smells of Hanoi. 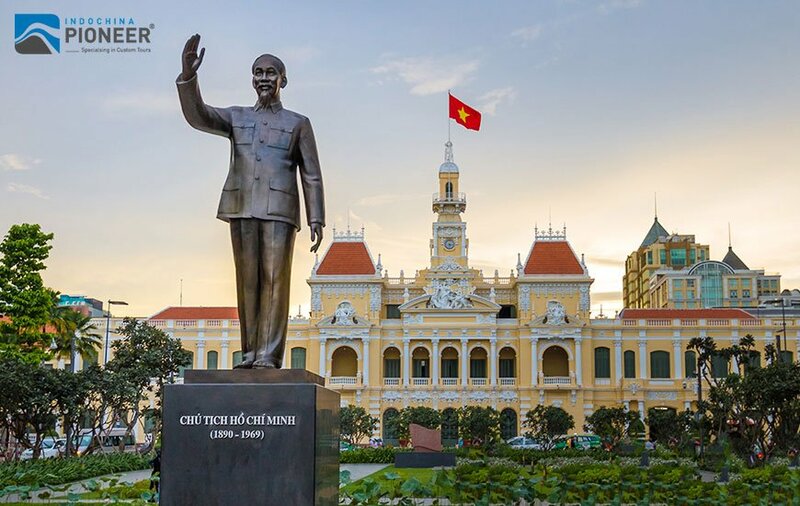 Your guide and driver will collect you from the hotel lobby to start your trip with a visit to the Ho Chi Minh complex on the site where he declared Vietnam’s independence in 1945, and see the reverence with which Vietnamese people treat their “Uncle Ho”. 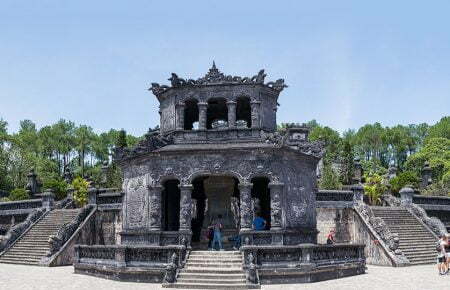 Other sites that we will visit with our local guide include House 54, Stilt House, Presidential Palace, and the One Pillar Pagoda. You then visit the Temple of Literature. Originally built in honor of Confucius by Emperor Ly Thanh Tong in 1070, a university was added to the grounds six years later. The university provided education to the royal family and children of the aristocracy or “mandarins”. 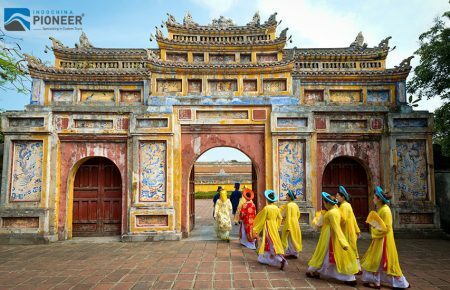 The University remained here until Emperor Gia Long moved the countries administrative capital from Hanoi to Hue in the 18th century. Tasting Vietnamese Tea in a local shop. Tea plays a major role in Vietnamese culinary culture, and the locals tend to favor light, flower-infused varieties. 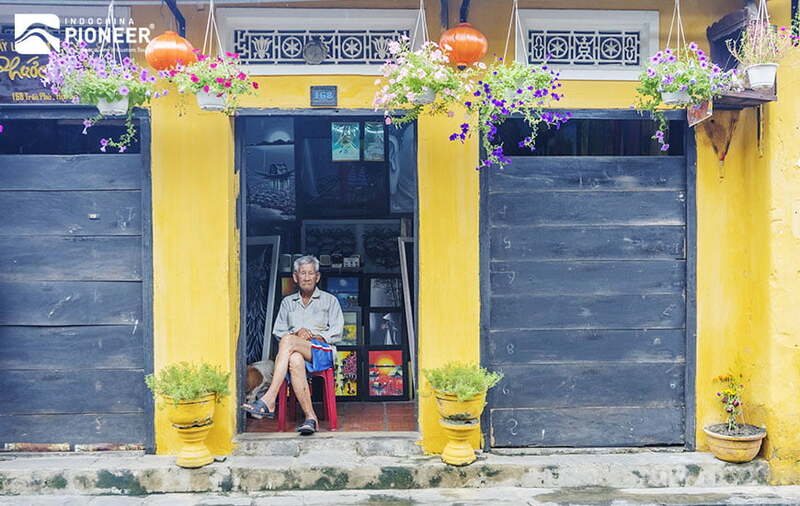 A shop owner is a person who has a strong passion for Vietnam’s ancient tea culture. Meeting him & chatting to learn how to make flower-teas, & learn more about one of the beauties in Vietnamese Cuisine. Return your hotel for some rest before starting the evening local food discovery. We start our walking tour at Hanoi’s largest covered market, Dong Xuan. Along the perimeter of the market, dozens of street hawkers sell a staggering variety of produce from live seafood to exotic fruits and spices. 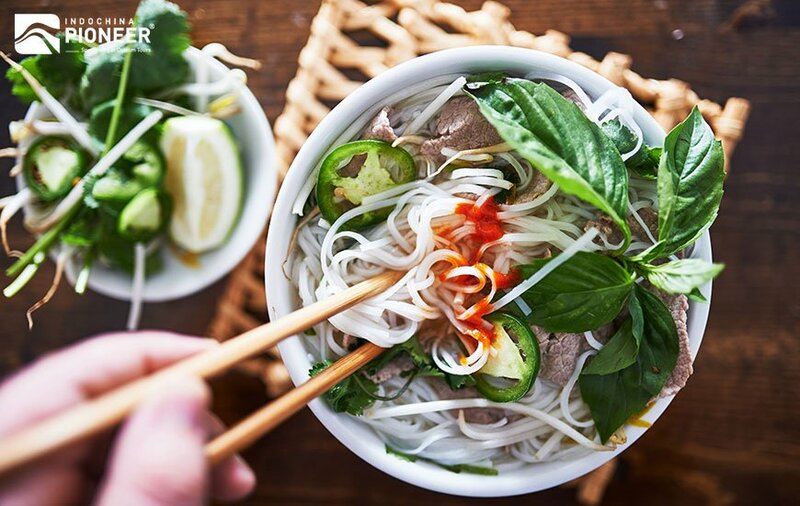 Your expert English-speaking local guide will give you an insight into the intricacies and traditions of Vietnamese food culture including details on ingredients and historical backgrounds of popular northern dishes. Our next stop is Banh My 25 shop “French Baguette”, a little food stall with a few typical tiny Vietnamese chairs on the sidewalk where we enjoy the delicious and fresh baguettes while observing the neighborhood. Move on to Hanoi Food Culture at Phat Loc Street, where we sample some Bun Cha consisting of vermicelli, herbs and grilled pork. At this Hanoi’s best-kept secrets, a hidden café we will watch the demonstration and then try some egg coffee, a scrumptious local delicacy. Continue to other food stalls in Hang Bo and Ho Hoan Kiem Street where we try some dishes such Che “Vietnamese style pudding” and Nom “papaya salad with beef”. It’s the time for dessert as we venture down a small alley to join in the local tradition of feasting on fresh fruit served in a cup and smothered with crushed iced – this specialty is one not to be missed! After breakfast and check out, your private tour guide will pick you up and take you through the rich farmlands of the Red River Delta to the legendary Halong Bay (travel time approximately 4 hours). Lunch will be provided onboard before arrival back at the dock, where you will be picked up by your private driver and taken back to Hanoi. 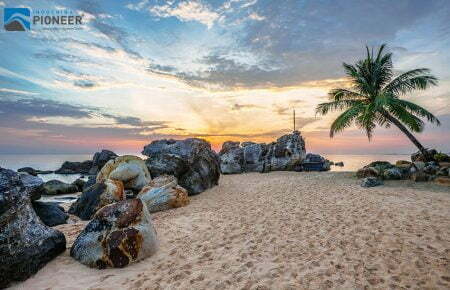 In the early evening, you take a short flight to Da Nang. 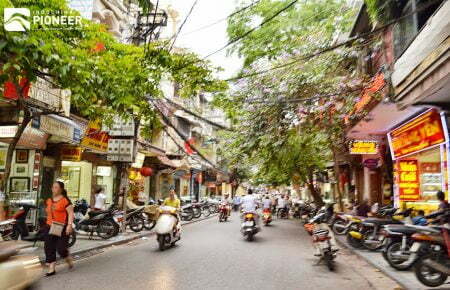 Upon arrival, you are driven to the hotel in Hoi An. After being collected from your hotel, a short bicycle competency test will be given. For those uncomfortable with a pushbike, then the private car can be arranged. 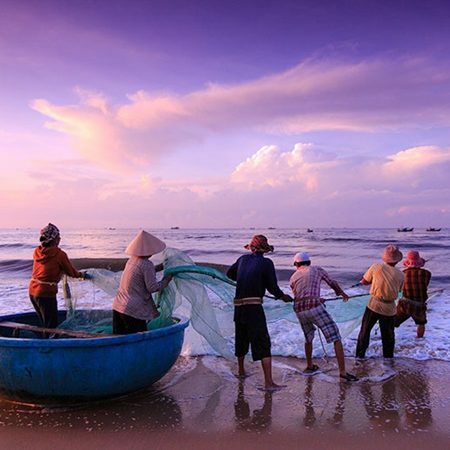 The tour starts by cycling along level ground to the Thu Bon River to visit a local fishing village. 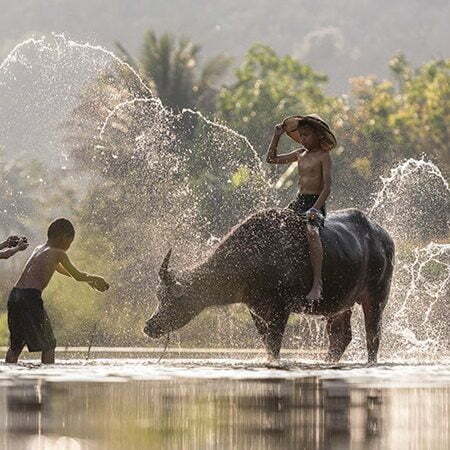 Take a short break in a local family at Cam Thanh Village before enjoying a fun ride on the traditional Basket Boat (round boat) in the Water Coconut Palm Forest. Learn how to sail the basket boat and spend your time to catch fishes and “purple crabs” in the Canal. Continue to ride our bike to Tra Que Organic Vegetable Village where a large variety of vegetable is produced for the local community. 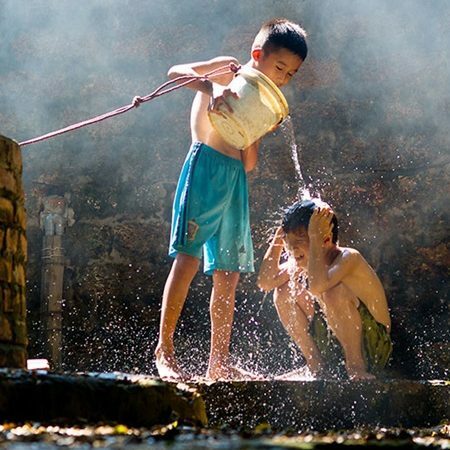 At the village, you will be shown the environmentally sustainable practices which the local villagers have used for centuries and is still being used extensively today. After some farming practices, we head a family at the local village to do a private cooking class www.kumquathoian.com. Then, enjoy a foot massage and the traditional herbal foot dip. We will then ride back to the hotel to rest during the day. 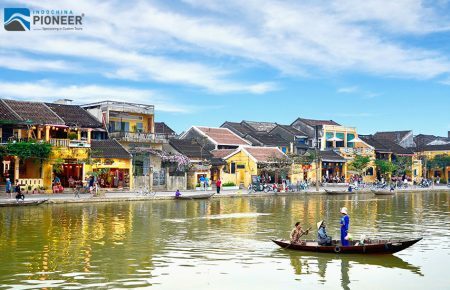 In the afternoon, you will start your exploration in the ancient town of Hoi An, a beautiful place that once was an important commercial port to where Chinese, Japanese and European merchants used to come to trade their goods. This makes Hoi An a town that clusters a cultural legacy similar to much bigger and populated cities. After some time being forgotten, this town has come back as an important tourist destination and in 1999 it was listed as a World Heritage Site. Fortunately, its architecture and lifestyle haven’t really changed from those in the past. 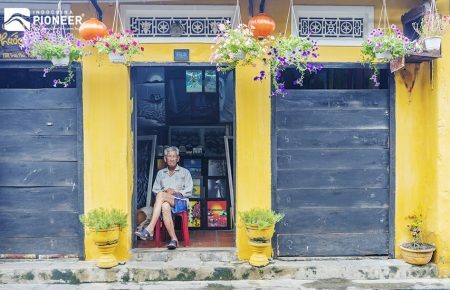 This is a fact you will be able to verify the moment you are taking a pleasant stroll through the narrow streets of Hoi An’s old quarter and visiting the traditional merchants’ homes. 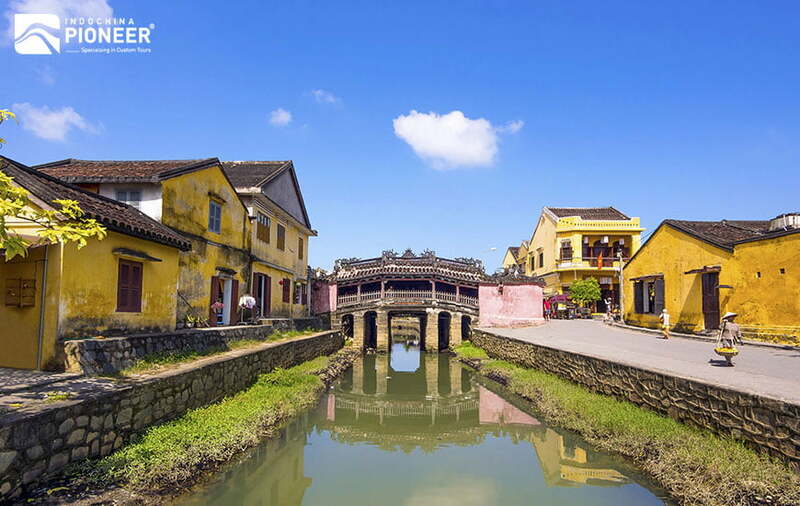 Of course, you will get the chance of seeing the iconic Japanese Covered Bridge, built at the end of the sixteenth century by the Japanese community living in Hoi An, so they could communicate with the Chinese neighborhoods located on the other side of the river, and the colorful town’s market. Later, you back in the hotel, you will have the rest of the day free so you can discover this fascinating place at your own pace. You can rest or go to the beach maybe. Spend the whole day in Hoi An. 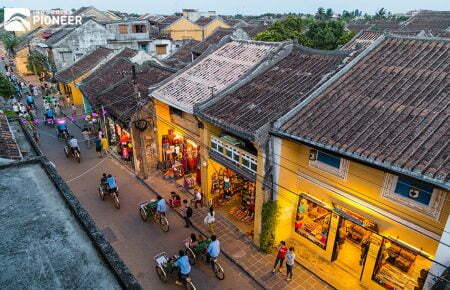 Sunbathe on the beach, go shopping, or become familiar with the quaint streets of Hoi An. Hoi An is a paradise for a family holiday. Lunch will be on your own. We recommend you hire a bicycle to ride to the beautiful Cua Dai Beach or take part in a cooking class. 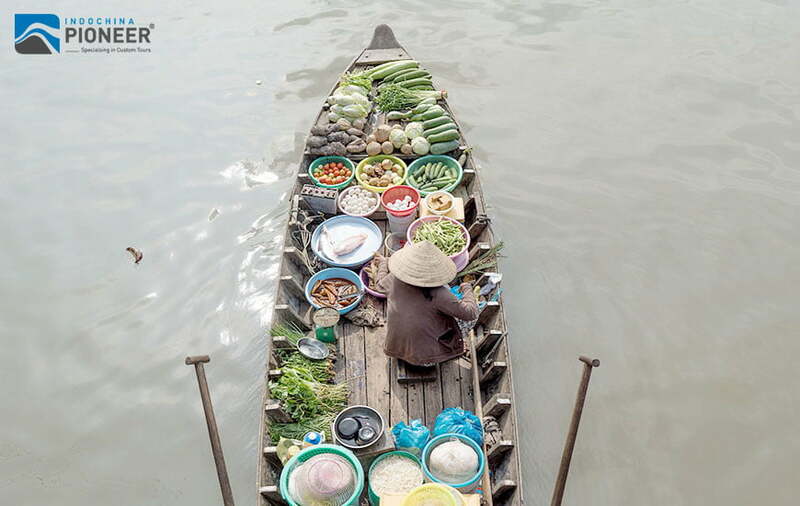 For the cooking class, your cooking instructor will take you through Hoi An’s riverside market, always a hive of activity, to purchase the ingredients before returning to the restaurant to learn how to prepare a Vietnamese meal, which you will get to enjoy afterward! 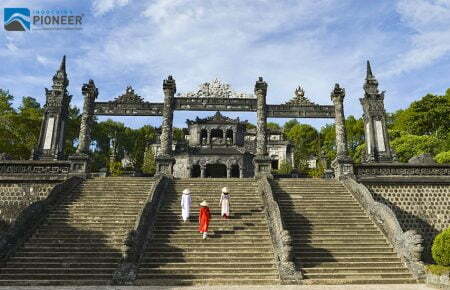 We will drive north to Hue – a romantic town in the central of Vietnam. Our 4.5-hour trip, hugging the coastline along the Eastern Sea, provides breathtaking views that grow ever more spectacular as we wind our way up Hai Van Pass (“Pass of the Clouds”). 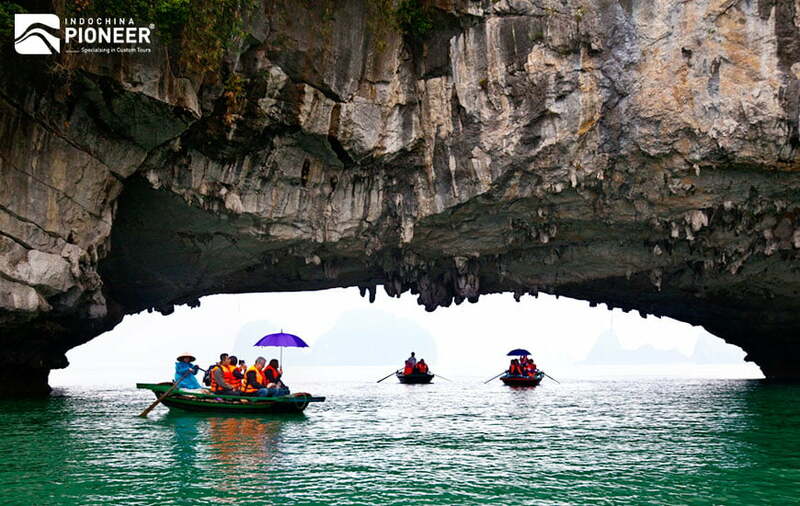 On the way, you will stop to visit some sites such as Non-Nuoc Stone Carving Village, Marble Mountain, Lang Co Beach & Hai Van Pass. 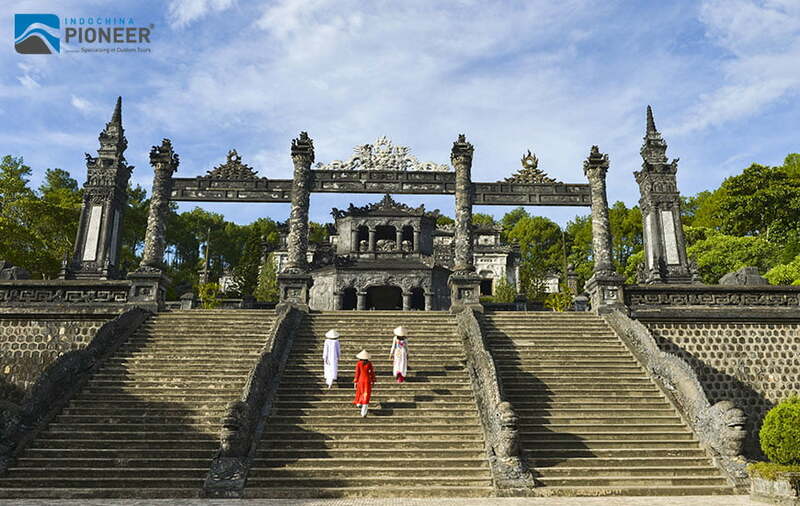 The afternoon is time for visiting the Hue’s most impressive tombs Tu Duc Tomb to learn more about Royal’s life, and visit the Incense and Conical Hat making villages. Return to the city center and if time and weather permit, we could admire the glorious sunset. Drive back to the hotel. ***For a group from 4 pax: Enjoy Emperor’s Royal Banquet – a special dinner in your trip. 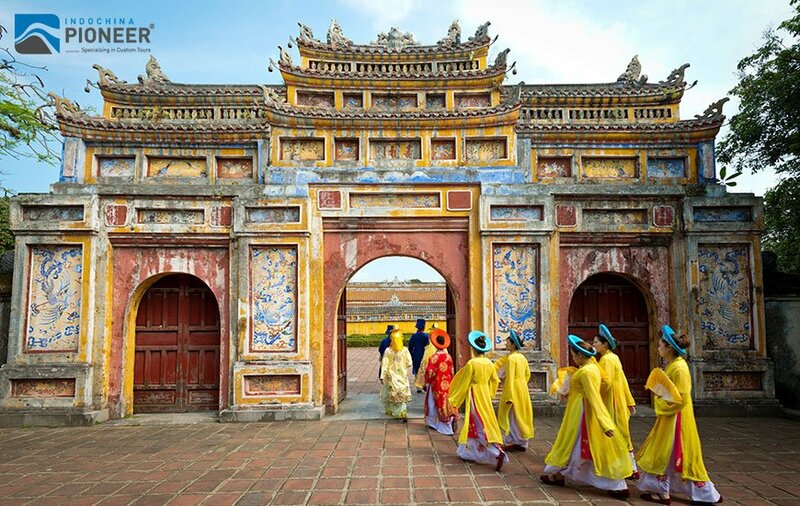 Upon arrival at the traditional restaurant, you will be given colorful imperial costumes so you can dress up as Emperors, Queens, Mandarins, and Concubines. You will be entertained by traditional Hue Imperial Court music and served a multiple course meal in the royal tradition of the Imperial Court. You are picked up at your centrally located hotel in Hue for exploration of Dong Ba market, an exciting market filled with colorful sights, sounds, and smells. 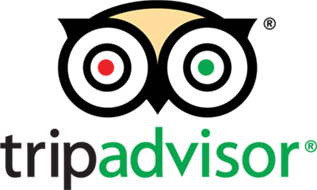 You will be introduced to local vendors and traditional foods. 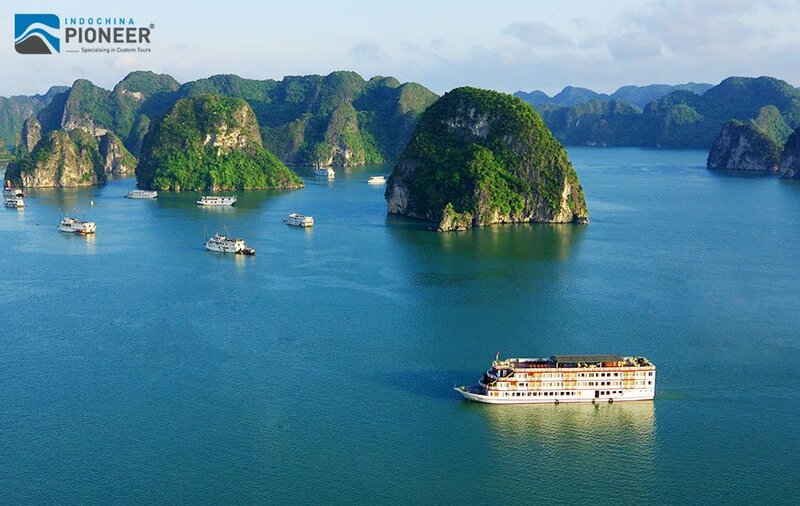 Then, you are doing a leisure boat trip along the Perfume River to visit the towering Thien Mu Pagoda, one of the most famous Vietnamese landmarks. Upon arrival, you are welcomed by our local driver. From Tan Son Nhat airport, we are transferred to the hotel and check-in. The remaining of the day is free at leisure. 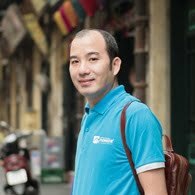 Let’s start the morning tour in the most dynamic city in Vietnam. 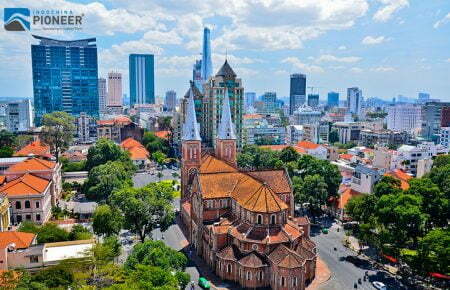 You start the city tour to explore great architectures in one of our largest cities in Vietnam. Return your hotel in downtown at noon. The whole afternoon is free at leisure. Sample the most amazing dishes that Vietnam has the offer! 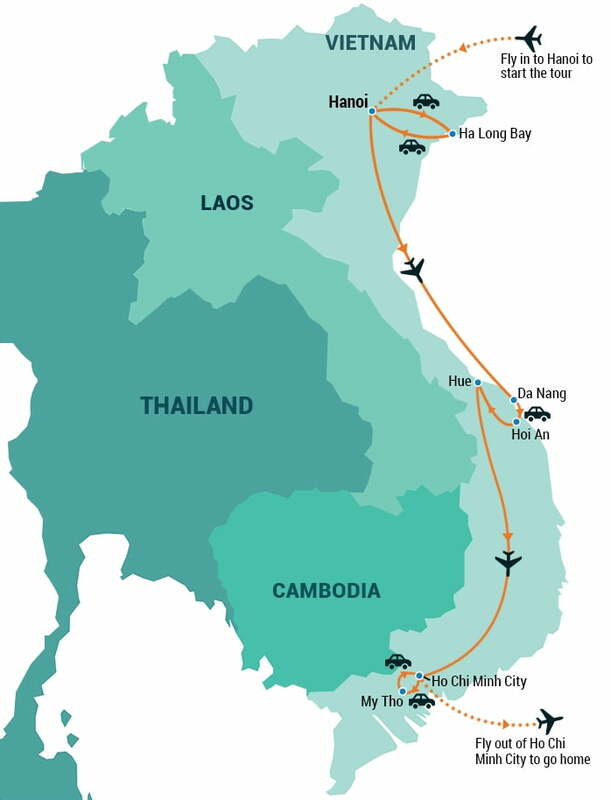 Taste your way through cuisine from North Vietnam, Hue and the South. 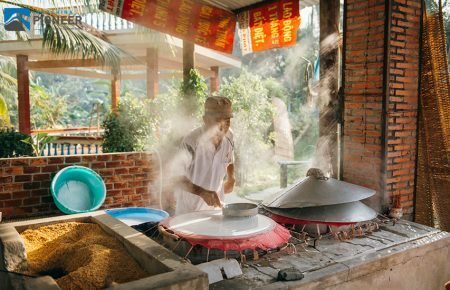 The Foodie is the most acclaimed Vietnam Food tour, and is designed to introduce you to the dishes and desserts that most food blogs and other tours don’t really touch upon! We will take you to the most popular street stalls and hidden alleyways in the city and show you where the locals really love to eat! So save your appetite, delight your palate and let us fill your tummy with delicious and authentic Vietnamese Food! 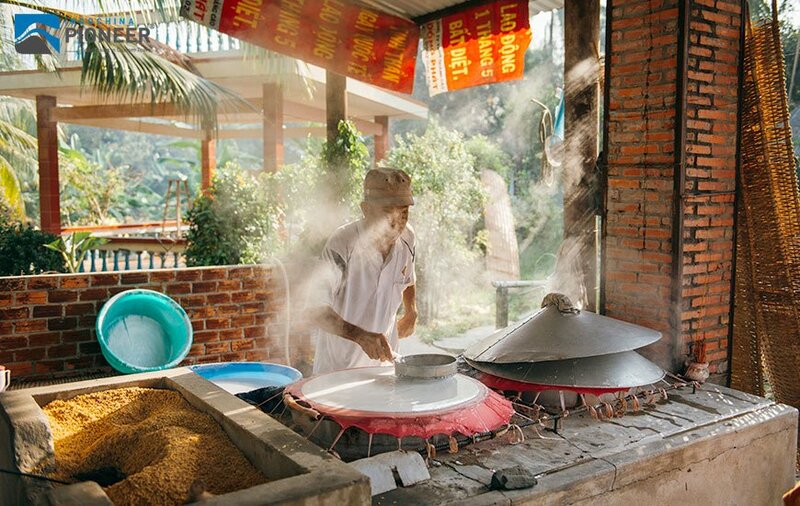 Our foodie tour focuses on street food dishes that most people outside of Vietnam have never had a chance to experience. Unlike most other Vietnam food tours, we won’t serve you Pho, Spring Rolls, Vietnamese Pancakes, or Banh Mi Sandwiches. We also won’t make you eat dog meat, bugs, organs, raw food or anything too weird. The foodie tour is only available in the evenings when most of the street vendors open for business. All food & drinks are included in the price! You get at least 10 entrees (including lots of seafood), dessert and drinks (beer, soft drinks, water & tea) on this tour. The portions are generous, and we will keep on ordering food as long as you keep eating! The food is not just a gastronomic tour, but a great way to see parts of the city that the majority of tourists do not get to see. 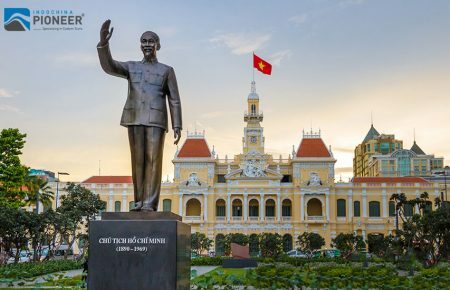 Most visitors to Ho Chi Minh City are stuck in District 1; on this tour, we will take you to 5 other popular districts and show you how real Vietnamese people live, work and eat! 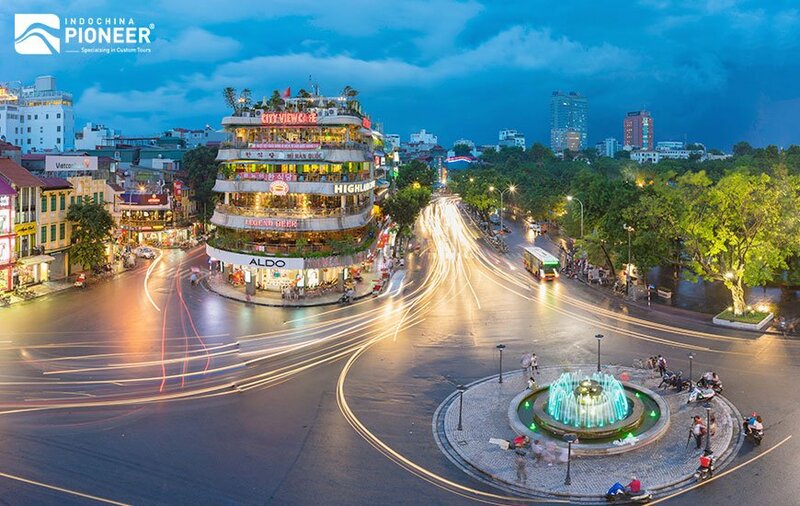 The Foodie combines our Saigon By Night Tour with stops for amazing food and lasts about 4.5 hours. We will give you plenty of time in between each stop in order for you to rest your stomach. By far our most popular tour, the foodie is great fun and the perfect way to discover some of the lesser known dishes that the locals love to eat. But do not take our word for it, read a reviews if our Foodie tour by 1010 “Chopped” winner and New York Chef, Mario Tolentino, and another great write -up by beautiful Aussie expat Dani Moger, who despite having lived in Ho Chi Minh City for 18 months, said she was bowled over by the food and parts of the city that she never even knew existed. Start your day with a pick-up from your centrally located hotel in Ho Chi Minh City. Then head to the city of My Tho by bus. 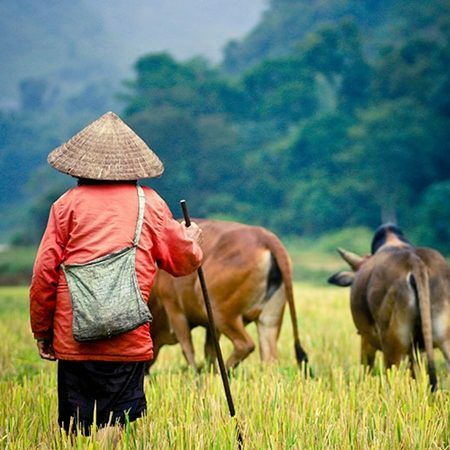 During the 1.5-hour bus drive to My Tho, learn about the cultures of the local people and enjoy the nice scenery of green rice fields. 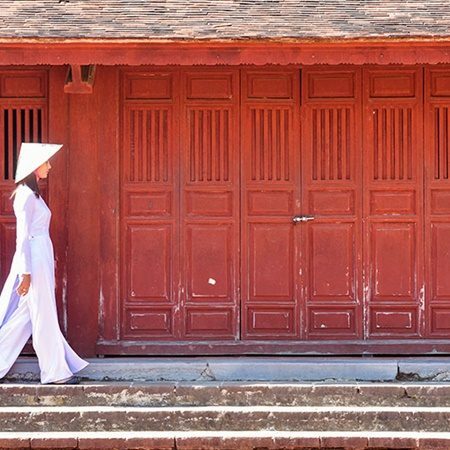 Visit Vinh Trang pagoda, the biggest pagoda in Mekong Delta. Continue to My Tho and take a boat trip along Mekong River. 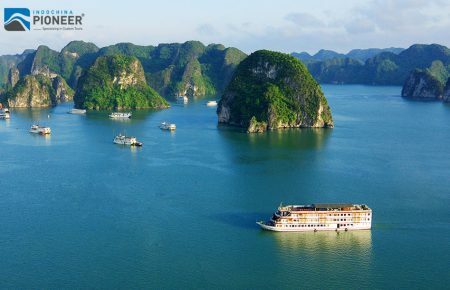 During the cruise, see fish cages and floating houses on the river. The boat will take you to a small canal, where you can escape the busy town. The cruise through the coconut trees lined canal will take you to a coconut island in Ben Tre. 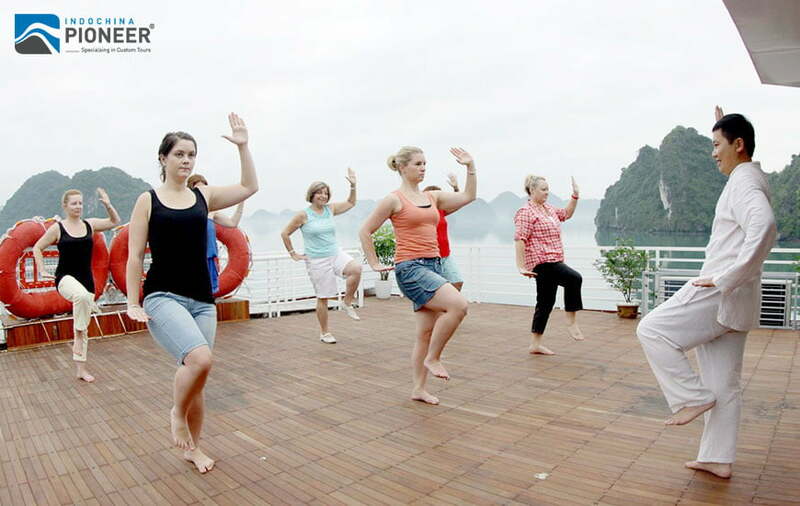 Disembark, walk around the village and visit a local family to enjoy tropical fruit, taste honey tea, honey wine and listen to Vietnamese traditional music, performed by the villagers. Continue walking on the village’s road to a coconut candy shop to learn how to make candy and see some handicrafts made from coconut trees. Take a walk through the village and discover many kinds of fruits, flowers, trees, and local houses. Take your time and take nice photos while enjoying the natural scenery. Then, head to a local restaurant and enjoy a local Vietnamese lunch under the tree shade. 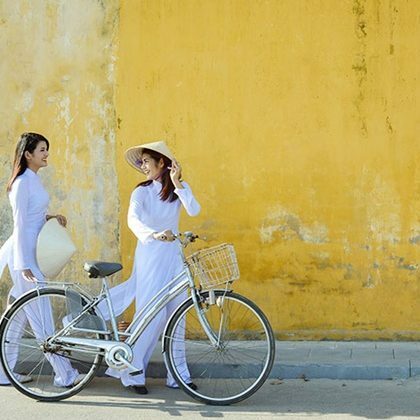 After lunch, have free time to walk or bike around the village, then travel by ferry and bus to Can Tho, the heart of Mekong Delta. Stay overnight in the hotel. Enjoy breakfast and then take a leisurely boat trip to explore the picturesque tributaries of the Lower Mekong River. 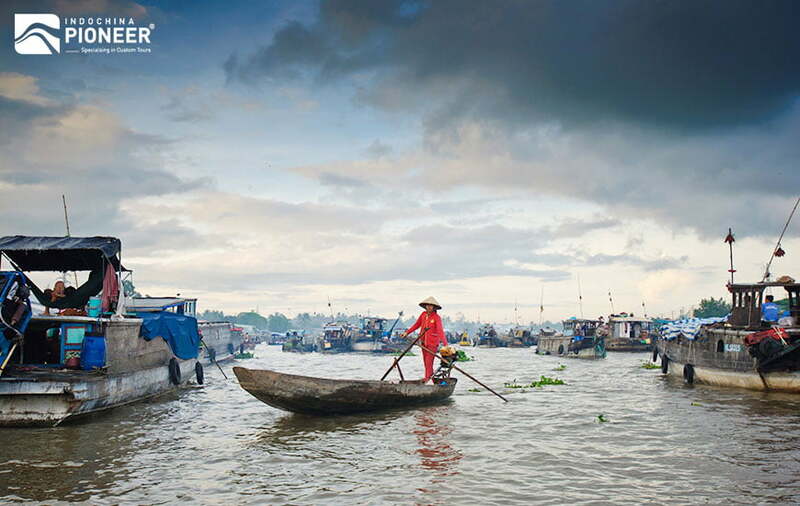 After, proceed to visit the Cai Răng floating market, which is the liveliest in the whole region. 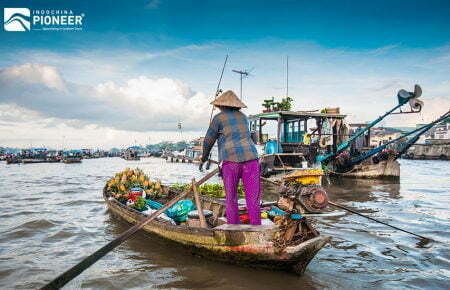 Take in the beautiful scenery and the daily activities of the locals who live along the Mekong canals. 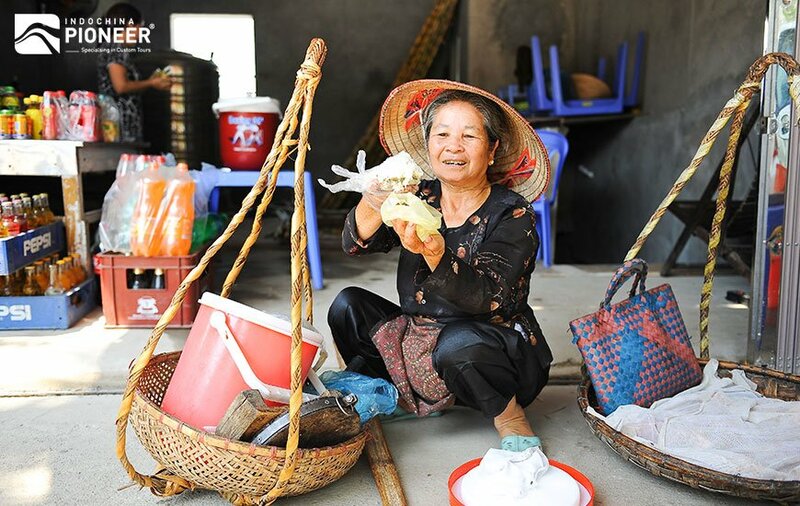 Next, you will roam through the village, see fruit gardens and visit a rice husking mill and rice noodles making the shop. 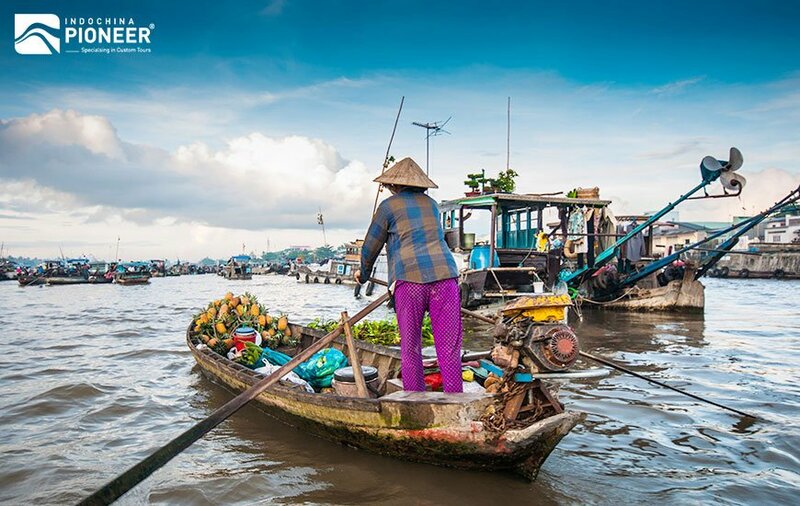 Then, head back to the riverside for lunch before traveling back to Ho Chi Minh City where you will arrive at around 4:00 PM with unforgettable memories. 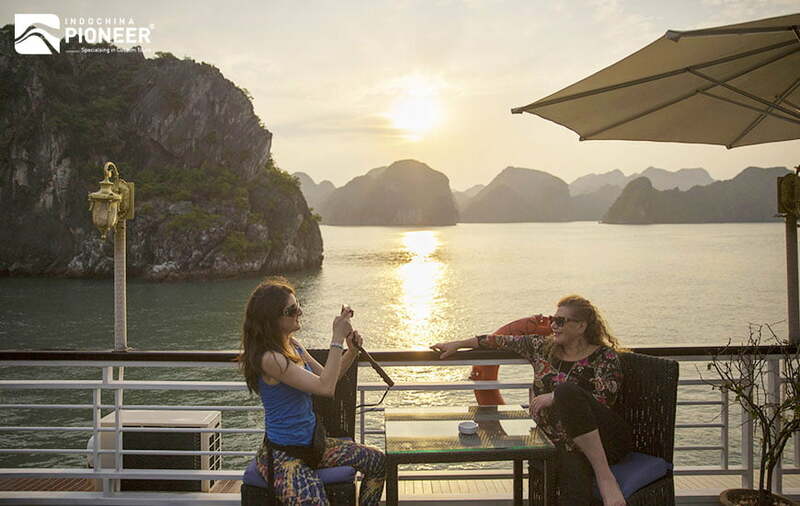 After breakfast and a leisurely morning on your own, you will check out by midday as this mark the end of your 12 day trip to Vietnam. 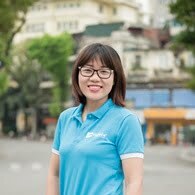 Your private driver will pick you up and take you back to Tan Son Nhat International airport for your departure flight home. Let’s check out the Best Deals for this TIME PERIOD. These are Special Offers that can disappear at any time. Book Now before it is too late. Don’t Delay! Special Promotional Prices (valid: March 27 – April 03, 2019). This deal is applied to all trip starting from NOW until 30th June 2019. 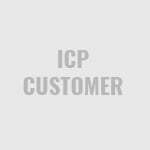 The quotation currency is USD.